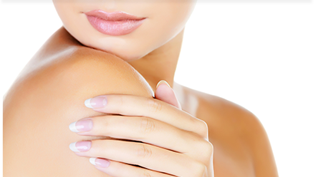 For patients seeking some simple TLC for their skin, Piedmont Plastic Surgery is also home to a comfortable and private skin care clinic. Housed in our Greenwood, South Carolina, plastic surgery facility, our skin care clinic staff provides the same level of personalized attention and customized procedures our cosmetic surgery patients have come to expect from Piedmont Plastic Surgery. Call 864-223-0505 to schedule a free consultation with one of our qualified nurses. During your skin care consultation, our staff will evaluate your skin condition and develop a custom treatment plan designed to achieve your individual goals. With detailed digital imaging, VISIA allows our skin care staff to look at a complete picture of your complexion both on and below your surface skin layer and outline treatment options based on your individual characteristics. To learn more about your skin care options or to schedule a personal consultation, please contact Piedmont Plastic Surgery online or call 864-223-0505 today. We welcome patients from Greenwood, Greenville, Anderson, Columbia, and Laurens, South Carolina.